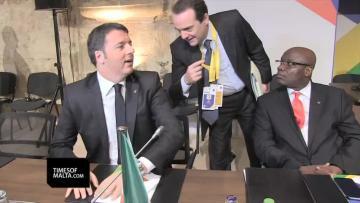 EU and African leaders have met in Malta to try hammer out some cooperation to tackle the migration crisis. The EU is pledging cash in exchange for help to stem the flow of migrants across the Mediterranean. But is it enough to slow down the biggest refugee crisis since World War II? 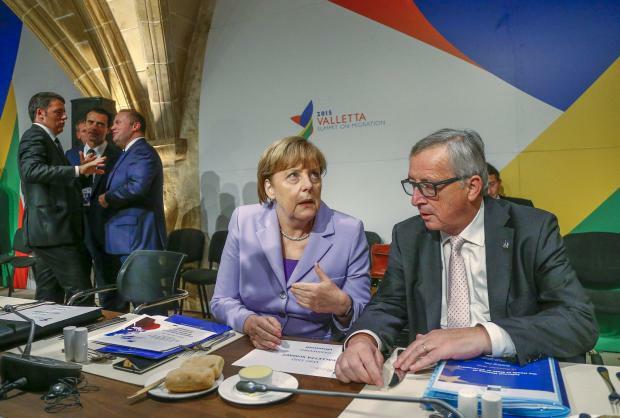 EU leaders also met for an emergency migration summit in the afternoon in Valletta. 7pm: As the VIPs are shuttled out of tiny Malta, amid the relief of the hundreds of security personnel, the verdict is that the summit was well organised, despite a few hitches. 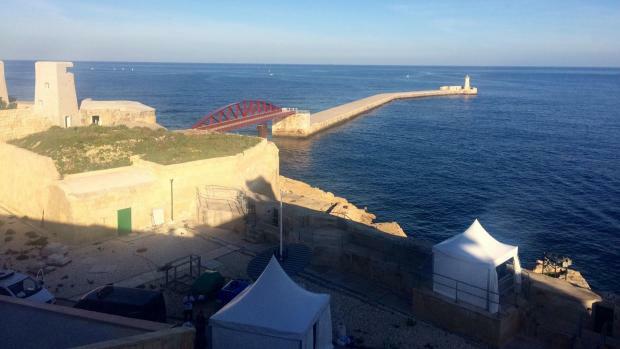 There was broad consensus among the foreign journalists that Fort St Elmo was possibly (probably) the most stunning venue to ever host an EU summit... with a little help by the fine weather. Make sure you get tomorrow's print edition of Times of Malta which will be covering reports from the Valletta Summit in detail. 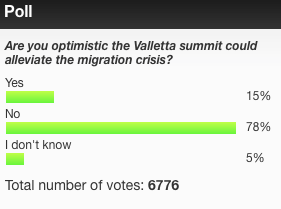 6.55pm: So what's the verdict on the biggest summit Malta has ever hosted? It was successful if you take into consideration that there is now a 17-page action plan to help Africa. But the action plan is inadequate when it comes to the fundamental responsibility to open safe and regular routes to Europe. The informal meeting in the afternoon confirmed that the EU is facing a major crisis as member states unilaterally take action on their borders to stop migrants from crossing. It's not me who's saying that - it's the EU bosses. 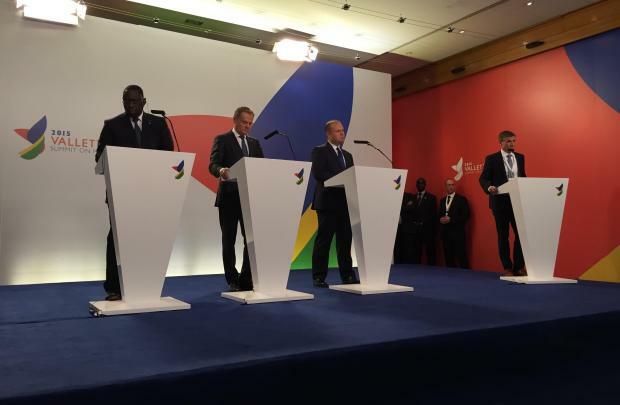 6pm: Joseph Muscat says his government decided to grant €250,000 to Africa fund to give Malta credibility in European fora. It is up to other larger countries, which contributed far less per capita, to answer for their actions. 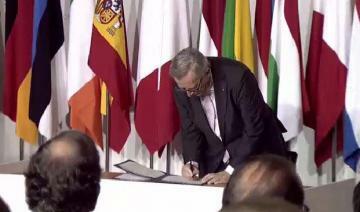 6pm: As a parting shot during his final press conference, Donald Tusk says: "What is happening is unprecedented. We can understand why the Dublin regulation is so difficult to implement in some countries." 5.58pm: Tusk, who will oversee negotiations starting next week on Britain's demands for reform of the European Union, said reaching a deal would be "very, very tough". 5.55pm: Jean Claude Juncker says he is not happy at all with the migrant relocation pace to date. "We are meant to relocate 160,000 and just 130 have been moved between member states. We have to up a gear especially since nobody at today's meeting questioned the need to relocate." Donald Tusk is to meet with Turkish president Erdogan on Monday to discuss his country's role in cushioning the migration crisis. 5.43pm - Tusk sounds warning to migrants: "Asylum seekers cannot decide where they want to be given asylum inside the EU. But the clock is ticking where borders are concerned. We are under pressure and need to act fast as a union." 5.40pm - European Council president Donald Tusk tells reporters that time is running out for Schengen. The situation is grave because certain EU member states were unilaterally imposing border controls. 4.40pm -Journalist gathering for final press conferences. 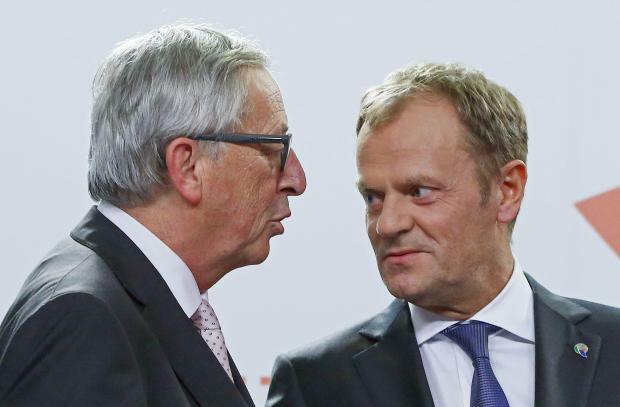 Our sources say there were tense moments between leaders during this afternoon's informal summit called by Donald Tusk. 3.50pm: Per capita, Malta is one of the highest contributors to the Africa fund. 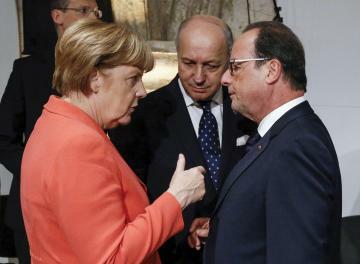 France, the UK and Germany pledging just €3 million each. Croatia, Cyprus and Greece contributing nothing. 3.35pm: For anybody who's hooked up with us just now, the EU-Africa summit agreed on a 17-page action plan which sets out dozens of initiatives. The EU formally launched an emergency trust fund for Africa with an initial 1.8 billion euros to combat the poverty and conflicts driving migration to Europe. So far, 25 EU Member States and two non-EU donors (Norway and Switzerland) have announced a total contribution of around €78.2 million. Malta will contribute €250,000. EU officials also highlighted renewed offers to ease visas and other access for business travelers and students from countries that agree to take back citizens whom EU states want to expel as illegal immigrants. 3.20pm: As EU leaders discuss their borders in Valletta, more migrants from the east are entering Germany as this picture from the Austrian-German border near Wegscheid, Germany shows. 2.50pm: Meanwhile, the British press are questioning David Cameron's decision to leave the Valletta summit before it was concluded - especially since he needs to win over EU leaders in his demands for reforms ahead of the in-out EU referendum. MR Cameron had to fly home to host the Indian Prime Minister. 2.30pm: Leaders gathering at the MCC for an informal meeting after the EU-Africa summit. 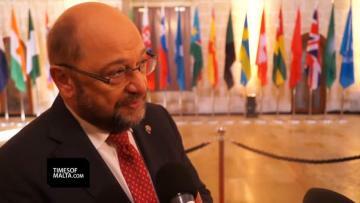 Schengen, borders and Turkey are expected to be on the agenda. 1.35pm: Stay tuned in to the running commentary. 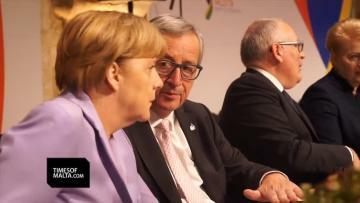 An extraordinary EU summit has been called to discuss the crisis the EU is facing within the continent. 1.05pm: Muscat: "The Schengen rules are outdated and need to change. Safeguarding borders is not building Fortress Europe. We need rules which work for everybody." He criticised member states which erect walls, pointing out that history have shown us that they are only short-term solutions. 1pm: Asked about the extraordinary summit this afternoon, Mr Tusk says the recent developments in countries like Sweden and Slovenia show the huge pressure member states are facing. "Saving Schengen is a race against time. And we're determined to win it. Without effective border control Schengen won’t survive. We must hurry, but without panic." 12.55pm: Mr Tusk: "We are under no illusions of improving the situation overnight." 12.50pm: European Council president Donald Tusk says the plan intends to improve the protection of displaced persons and increase the fight against smugglers. There were improvements to advance the return of persons not entitled to stay in Europe. 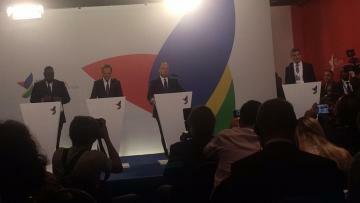 12.45pm: Prime Minister Joseph Muscat says this is a very important first step forward. "We spoke very clearly. There's convergence but also confrontation on some issues." He says migration shouldn't be seen in isolation but to look at the potential of Africa. He says Europe is the only group of countries which is doing something tangible, despite its differences. 12.40pm: Europe's economy will strengthen if countries invest in efforts to cope with the refugee crisis, the president of the European Central Bank Mario Draghi told EU lawmakers today. 12.30pm: The summit has been concluded and the political declaration and action plan has been unanimously adopted, according to EU Council president Donald Tusk. Journalists waiting for details in press conference. 12pm: Ahmed Ibrahim from the African Media Association of Malta gives the thumbs up to the Valletta Summit. Speaking to Kim Dalli, he urged participating states to put people first and that asylum seekers are received in conditions of dignity. Those who do not qualify for asylum should be treated with respect and any returns should be carried out in full respect for the principle of non-refoulement, in conditions of safety and dignity. 11.30am: The sounds of optimism emanating from the MCC are clearly not reflected in our online poll. The survey is not scientific but certainly reflects the cynical reaction of many who feel a solution to the migration issue is far off. Let us know what you think. Go to our home page to vote. 11.09am: Meanwhile, NGOs continue warning that whatever the outcome, disrespecting refugee law while ignoring abuse and torture should no longer be acceptable. 11am: And while discussions are ongoing, Sweden - once seen as an exemplary country for integration - has just announced the introduction of temporary border checks to control the flow of migrants into the country. 10.50am: Meanwhile, Maltese humanitarian worker Karl Schembri from the Norwegian Refugee Council has raised some issues. He says the amount of €1.8 billion pledged is low and should be increased, without diverting from other development or humanitarian funds. In comparison, the draft EU plan for Turkey is offering €3.5 billion to address migration. Mr Schembri says it remains unclear how much of the funds will go to development and how much to security, law enforcement and border enforcement. The funds should go exclusively to development and poverty eradication, and not to security and border enforcement. The goal must be to confront root causes of migration rather than the migrants. The funds should not be conditioned on tighter border controls or agreements on returns. 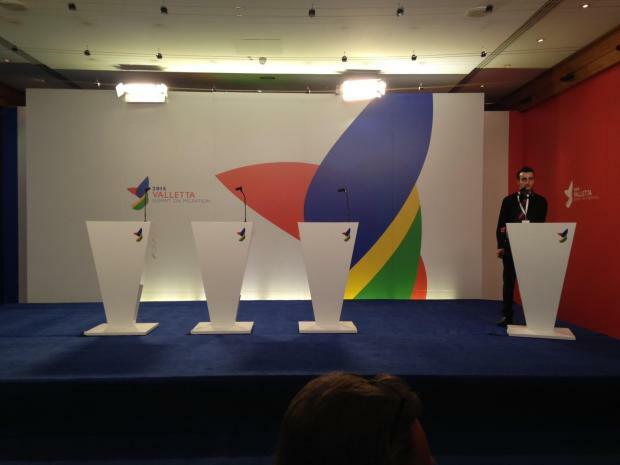 10.44am: Meanwhile, this is what's happening at the Mediterranean Conference Centre in Valletta. 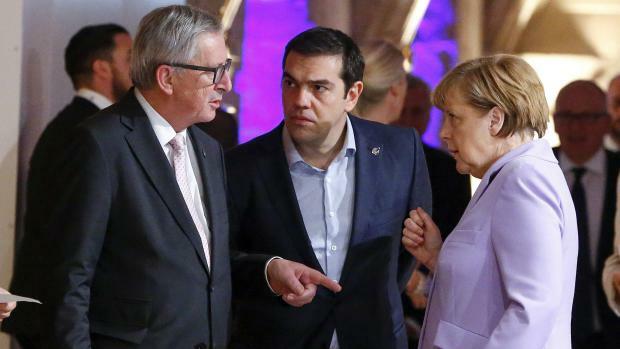 Could this be the most important meeting to tackle the crisis? 10.42am: It seeks to develop further and maintain, where appropriate, communication networks between EU and African countries to support maritime surveillance and to save lives at sea in compliance with fundamental rights and data protection standards. The agreement speaks of strengthening cooperation to facilitate the return and sustainable reintegration of irregular migrants, both from EU Member States and associated countries and from African countries of transit and destination, bearing in mind the obligation of each state to readmit its own nationals in full respect of human dignity and of the principle of non-refoulement. 10.40am: The summit conclusions suggest facilitating the short stay visa issuing processes for certain types of visitors, such as students, researchers, business people and artists and holders of diplomatic passports. It also suggest facilitating the procedures related to applications for legal migration, including family reunification. 10.37am: The leaders are pledging to promote regular channels for migration and mobility from and between European and African countries. Conclusions encourage the development and implementation of national and regional strategies or policies for integrating migrants into host societies and for counteracting xenophobia and discrimination. 10.33am: The conclusions pledge action with regard to conflicts, human rights violations and abuses that, generate internal displacement, irregular migration and refugee flows. Special focus should be given to the situation in individual countries in Africa, and notably in the regions of Sahel, Lake Chad and the Horn of Africa. 10.30am: The draft Valletta Summit action plan has been leaked: Among others, it underlines the need to support resilience, in particular to the benefit of the most vulnerable, in particular women and children, and communities hosting protracted refugee populations, including through rural development, food and nutrition security, health, education and social protection. 10.12am: European Parliament president Martin Schulz says the EU is divided on how to deal with the migration crisis while African countries do not have a common position on how to deal with the problem. 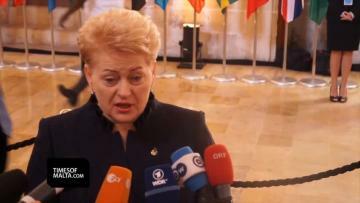 10am: Lithuanian president Dalia Grybauskaitė tells reporters some African leaders said they don't need money but investment. 9.55am: Dr Muscat is to hold bilateral talks with the Prime Minister of Somalia Omar Abdirashid Ali Sharmarke and then bilateral talks with French President François Hollande. 9.50am: Writing in today's edition of Times of Malta, anthropologist Ranier Fsadni says: "The Valletta Summit is taking place against this background: Europe wants to engage Africa in governance of the migration problem, while its enterprises economically disengage from the continent and ordinary Europeans want to psychologically disengage from its people. That’s not a formula that inspires success." 9.40am: EU and African leaders have signed an agreement for the creation of an Emergency Trust Fund, initially of €1.8 billion, to assist African countries in their development and encourage them to take back nationals who migrated to Europe. Malta had pledged €250,000 to the fund. NGOs say this is a drop in the ocean for a continent with 54 countries. 9.20am: EU's Africa trust fund "could work" by funding "decent life" for more Africans, says Hungary's right-wing Prime Minister Viktor Orban. 8.47am: This tweet sums up what many individuals, especially humanitarian organisations, fear would be the outcome of the Valletta Summit. 8.45am: As Europe tries to strike cooperation with Africa, some member states continue building walls and fences to stop migrants entering. 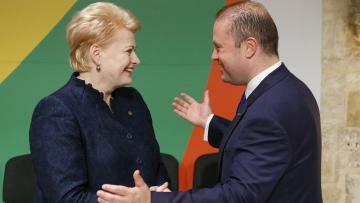 The Lithuanian president is quoted as saying this morning that temporary internal border controls are "unavoidable". 8.40am: There are also renewed offers to ease visas and other access for African business and other travellers from countries that agree to take back citizens whom EU states want to expel as illegal immigrants. EU data shows that barely a third of Africans ordered deported from Europe actually leave at present. 8.20am: Some of the details to be agreed upon are already emerging. Some reports say that EU leaders had offered their African counterparts aid and better access to Europe in return for help curbing migration across the Mediterranean and promises to take back those Europe expels. A 17-page Action Plan, seen by Reuters, sets out dozens of initiatives. There is a European pledge to drive down costs for sending money home from Europe to Africa. 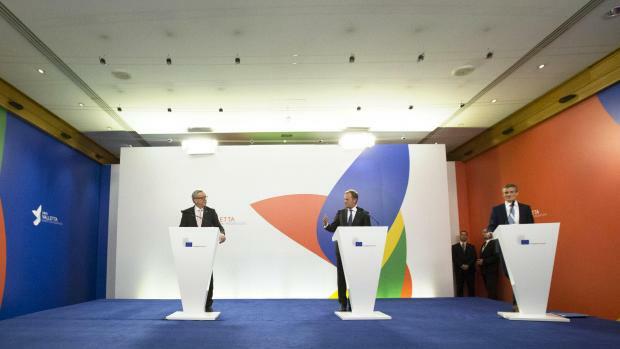 8.05am: Prime Minister Joseph Muscat sounded an optimistic tone late last night saying the meeting so far was "less confrontational than expected". 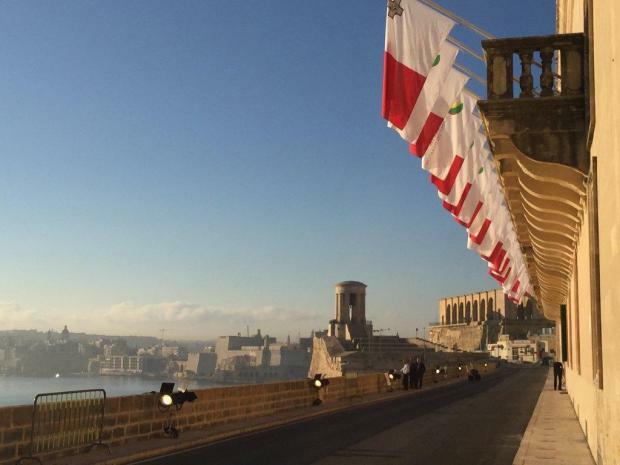 8am: Valletta is once again preparing to host its biggest ever meeting when leaders from over 40 EU and African states meet. Unlike the 1989 summit between George Bush and Mikhail Gorbachev, which was met by one of the biggest storms ever seen, the EU-Africa summit is greeted with splendid sunshine. Might be a good omen.